DETAILS: The Nox Hotel is a renovation of an existing SRO rooming house in Beacon, NY. In Phase 1, the existing historic brick structure will be reconfigured for 12 hotel rooms, with a restaurant and bar on the ground floor. 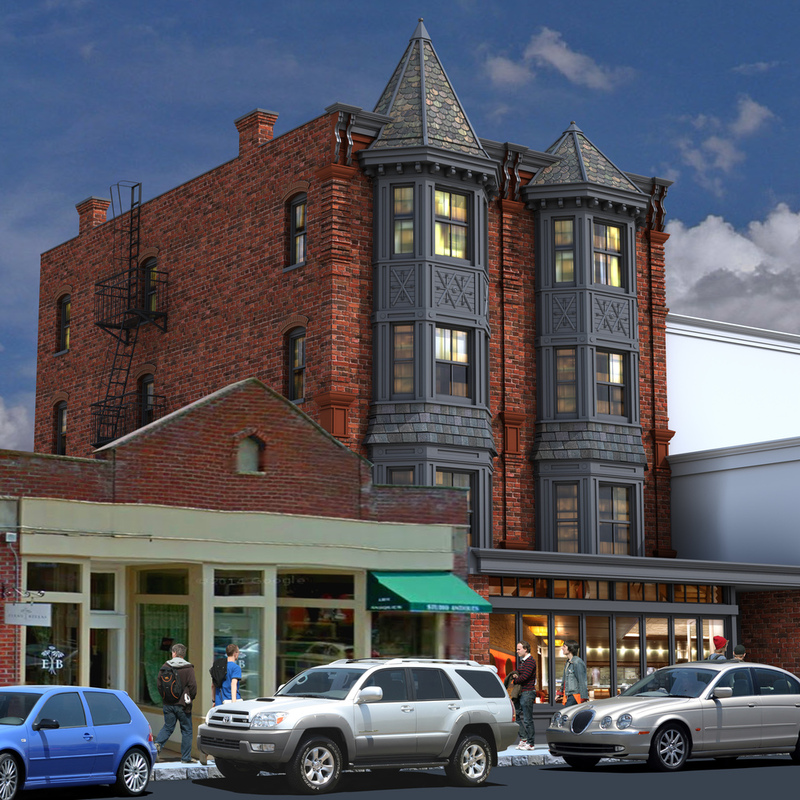 The historic brick facade will be restored, and the ground floor storefront will be re-designed in the spirit of the historic building. In Phase 2, the existing adjacent wood frame structure will be demolished and an addition to the original hotel building will be constructed. The project will have approximately 40 rooms when complete.